Thanks for the picture Gav. 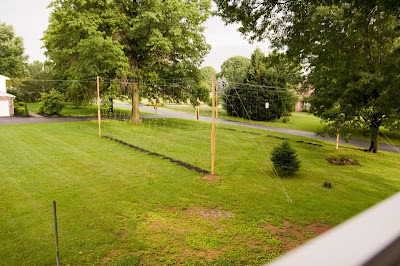 If you look closely, you can see the bines are well over halfway up the twine (18' trellis ;-). Not bad for first year plants. Will be nice to see them fill out with arms/side shoots and then see how many flower spurs start poping out.